When I was a kid, there were these strange cereal ads where a woman would be trying to buy her groceries and the male grocer would pick up her box of cereal and say ‘Hey, nice choice!’ and list off all these random facts about this wonder cereal. ‘And it’s high in iron,’ he’d say, ‘which is good for you since you’re, you know…’ trailing off and indicating at the woman, at which she’d indignantly storm off. ‘A woman.’ He’d finish feebly. Yep, that was the ad, and my first notion that as a woman, I might one day need to keep an eye on my iron levels. Whatever they were. As it turns out iron deficiency is a fairly common health problem, and women are more at risk, especially when they’re teenagers, menstruating, pregnant, or lactating. A person is more likely to develop an iron deficiency after chronic blood loss, increased exercising, improper dieting, or malabsorption (which can be caused by conditions such as coeliac disease). Being iron deficient is no fun, with symptoms such as lethargy, paleness, dizziness, and breathlessness, but if left untreated it can lead to anaemia, which is a more serious health problem. Iron is an important mineral that is absorbed by the body to be used for several different bodily functions. It’s used in the immune system, in a bunch of enzymes, in myoglobin in the muscles, and in the creation of haemoglobin. Haemoglobin is the protein in red blood cells that transports oxygen from the lungs to the rest of the body where it becomes energy. If there isn’t enough iron coming in, the body will take from iron stores from other places, such as in the liver. When these stores are depleted, the body will struggle to produce haemoglobin and as such will struggle to transport oxygen through the bloodstream. This is one of the ways anaemia can develop. Anaemia is when the body is deprived of oxygen due to a lower than normal level of haemoglobin or red blood cell count. This is not always caused by a lack of iron; there are other diseases and disorders that can cause problems with red blood cells and haemoglobin. 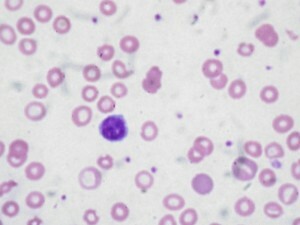 Like an iron deficiency, the symptoms of anaemia include paleness, breathlessness, and tiredness, but can also include headaches, orthostatic hypotension (a drop in blood pressure when standing from a sitting or lying position), concentration difficulties, heart palpitations, and a loss of appetite among other possible symptoms. A balanced diet is the best way to bring iron into a healthy body. There are two types of iron, haem and non-haem. Haem iron is found in animal tissue such as beef, chicken, lamb and fish, and the body is more likely to absorb this than non-haem iron. Non-haem iron is found in animal tissue, but also in animal-based products and plant foods such as eggs and lentils. Breakfast cereals and wholegrain are considered good vegetarian and vegan sources of iron, but a person eating an average Western diet, including meat, absorbs about 18 per cent of the available iron and only 10 per cent from a vegetarian diet. Do not start taking supplements without consultation with a doctor. The human body isn’t great at getting rid of the iron it doesn’t use and a build-up can be toxic. If you think you have an iron deficiency go see a doctor and they will run tests. This usually involves a blood test to determine your iron levels and possibly further tests to figure out any underlying conditions that may have caused the iron deficiency. Often an iron-rich diet is prescribed, alongside supplements for up to 12 months. Iron deficiency is one of the most common nutritional deficiencies in Western society. Thankfully, it’s very treatable and if you have it, you’re not alone. If you have more questions about iron deficiency or anaemia see your doctor or local health practitioner. Stay tuned for Cin’s next instalment of Well…What?, Lip’s all new fortnightly column on all things medicine, health and wellbeing! This entry was posted in Column, Health and tagged anaemia, column, health, women's health. Bookmark the permalink.